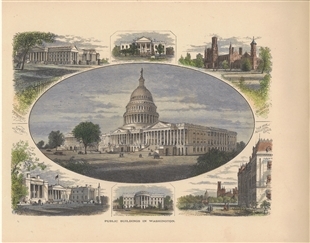 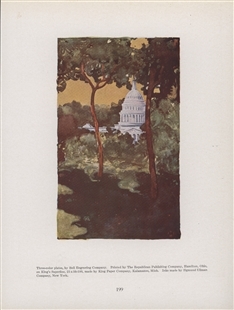 By the 1870s the National Mall—shown here anchored by the Capitol at its eastern end—was beginning to take shape as the tourist destination it is today. 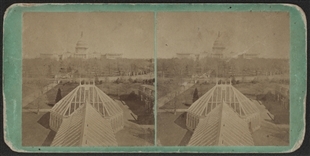 National Botanical Garden greenhouses, seen in the foreground of this view, the Smithsonian Institution, and other gardens were opened, providing what was intended as a space of public edification and education. 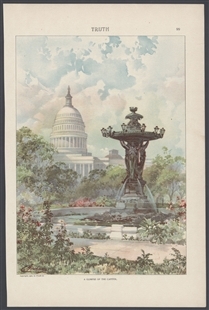 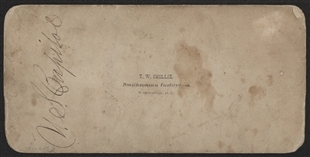 This image was taken by Thomas Smillie, the Smithsonian’s first staff photographer and, later, its first curator of photography.